The evolution of work in the digital age is making workers’ lives easier. For example, online freelancing job sites have paved the way for many people to work from the comfort of their own homes. But the freedom to work your own way has its challenges, too. And one of those challenges is learning how to manage finances as a freelancer. Freelancers often market their skills and services online today. Moreover, in the online world almost every skill is in demand. 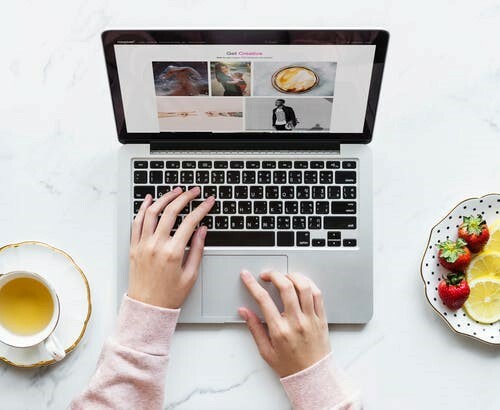 Whether your specialty is content writing, web design, social media, digital marketing, or something else, you’re bound to find your freelancing niche. Freelancers have the freedom to work anywhere they choose, whether it’s a nearby coffee shop or their own home office. What’s more, many freelancers think of themselves as entrepreneurs, and claim the right to create their careers their own way. On the other had, freelancers must almost continually market themselves and their skills. Otherwise, they’ll never attract the clients they need. Additionally, some admit that they miss having a regular job with a fixed salary. Instead, they have to manage their own business with its ever-changing cash flow. For many freelancers, the main struggle is that the work is unpredictable. Consequently, they don’t necessarily have a steady income. One month, they might land a great client and make good money. The next month, they struggle just to keep up with basic expenses. No longer can freelancers look forward to a paycheck that shows up in their bank account twice a month. Gone, too, are the end-of-year bonuses, group health insurance, and benefits of the corporate world. In other words, freelancing can be a risky business if you don’t learn quickly to generate sufficient income and manage finances. What’s more, since freelancing is a one-person business, all of the responsibilities and liabilities fall on your shoulders. Therefore, if you’re going to survive as a freelancer, you need to have an organized plan that will keep you afloat financially. At the beginning of the month, make a list of your current clients. Then, estimate your projected monthly income from each client. If you see right away that you won’t be bringing in enough cash to make it through the month, you’ll know that your first order of business will be to market your skills to attract more clients. It’s pretty easy to keep your expenses low as a freelancer. No longer do you have the expenses of commuting and maintaining an expensive wardrobe. It can help to keep a simple spreadsheet where you keep track of your business income and expenses. Then, at tax time, it will be relatively easy to sort things out and report accurate numbers. While you’re building your freelancing business, you might not be able to live as you did when you were pulling in a regular paycheck. For example, instead of eating out every night, you might need to learn how to prepare your own meals at home. Additionally, create a financial plan and follow it. Also, record all your expenses and track the receipts. Stick to your budget and stay disciplined. The practice of following a budget will give you more peace of mind. In turn, this will allow you to focus on creating a great experience for your clients. Before too long, word will get around, and more clients will come your way. Eventually, you’ll notice that your freelancing business is growing and thriving. When you’re learning to manage finances as a freelancer, remember that saving money is not an option. During those months when clients come calling and you have so much work you can barely keep up, use that additional income to start a rainy day fund. Then, the next time you have a dry spell, you’ll be glad you did. 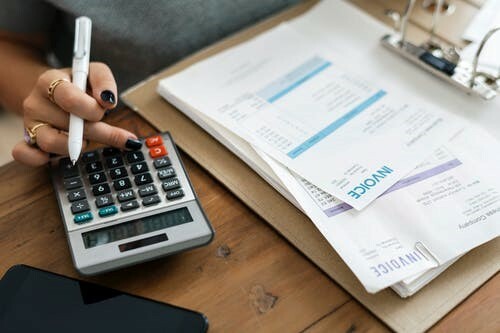 As a matter of fact, if you can, try to set aside enough cash in a dedicated account to cover your basic expenses for at least four to six months. However, there may be times when you’ll need to turn to additional resources just to keep going. When that happens, you could apply for an online loan at inexpensive rates and decent terms. For example, Best Moneylender offers good opportunities for funding. While you’re building your freelancing business, learn to save money wherever you can. Take care of your basic needs and postpone luxury purchases until you’ve built a steady flow of income. And don’t be discouraged if that doesn’t happen overnight. There’s a lot to like about life as a freelancer. For example, freelancing gives you freedom and the flexibility to work the way you want. However, freelancers who don’t learn how to manage finances well in the beginning can have a difficult time. Therefore, learn how organize your finances, manage your money wisely, and keep track of your expenses. Learning how to manage finances will give you greater peace of mind and allow you to become an even better freelancer.